Three Keys to Invention Success 1 relates to what I call the GEL Factors of Inventions, Great Customers, Easy Sales and Long Life. 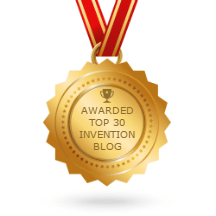 When you learn to recognize those conditions for each invention you’ll be on your way to being a serial inventor, able to come up with one winning product after another. What makes some inventors succeed while others fail? Success isn’t always a case of having the best product or the best strategy; often the difference between a successful inventor and an unsuccessful one is that one inventor chose a market that has outstanding characteristics, or what Ilike to call them, outstanding GEL Factors, (Great customers, Easy sales and Long life), while the other did not. If your idea isn’t targeted for a market with excellent GEL factors, you will have trouble introducing your idea and should consider trying a different idea or market. In this in this article I’ll explain the model fro evaluating products and show how you can tweak your existing business marketing approach or how to create a brand new one for your product that will be successful. Mary Burns created the pet fountain, a product that went from introduction to over $3 million in sales in just a few short years and is now featured in PetSmart, Petco, independent pet stores and many mail order catalogs — a tremendous success. Burns started just looking for a solution to stop her cat from drinking out of her faucet. Her cat liked fresh running water and nothing else would do, and when her cat Buckwheat wanted water in the middle of the night, Burns had to get up to run the faucet. Burns started with a crude model which just used an aquarium pump to bring water to the top of a small waterfall that the water then went down. The pet fountain aerated the water, which made it seem fresh to Buckwheat, and Burns decided to introduce the product with a few ads in Cat Fancy, Cats and I Love Cats. Before she knew it, catalogs were calling her to carry the product and when she promoted her product through Pet Age, the industry’s major trade magazine, Petco picked it up and sales have just zoomed up ever since. Burns had a great product idea, but she also had a great customer group. According to Packaged Facts, an industry research group, “A growing share of the $47 billion pet market is shifting to ‘uber owners’ who make big money and spare no expense for the ‘functional pampering’ of their pets.” Products are being made to resemble those for humans. Humanization is fueling consumer demand for premium products and services, including those bearing familiar brand names crossing over from the human side. · Pets can be found in more than 63% of all US households; interestingly only 34% have children. · According to the U.S. Census Bureau, the pet industry is now the seventh largest retail segment in the country. · After consumer electronics, pet care is the fastest-growing category in retail, expanding about 6% a year. · 42% of dogs now sleep in the same bed as their owners, up from 34% in 1998. What makes them Great Customers? The pet industry is a great market as there are large numbers of pet owners and they are becoming more dedicated to their pets, and they just keep spending more and more money. A market like the pet market has many advantages, first stores and catalogs are constantly looking to expand the number of pet products they carry, consumers keep looking for new products, and the market usually sustains high prices with strong margins for its participants. The first important element for great customers is the number of customers. This means that there need to be enough people who can find your business and buy your product, either once or repeatedly, to support you and your business. So this number of people will be different for every product. The number of customers you will need will depend on a few factors. First, the price of your product will determine partially how many customers you need. If you have an inexpensive item, you will need to sell large quantities to cover your expenses and give you a decent income. But if you sell very expensive products, like for many thousands of dollars, you may only need to have a few customers per month. So with your price you should be able to determine how many customers you need, then see if there are that many customers that are easy to reach. The second factor for determining the number of customers you will need is how consumable your product is. Will people buy one product per lifetime? Or will they need to keep on purchasing your product every year or two? If your product will require repeat sales, you will need fewer customers, but if they just make one purchase per lifetime you will need many more customers. The pet industry is the best of both worlds: you have many, many customers willing spend lots of money on products for their pets and many of the pet products need to be purchased repeatedly. The second element for having great customers is that it is easy for them to find you, or less ideally for you to find them. Great customers will search you out or belong to clubs or organizations that you can advertise with. Sometimes they will frequent stores with products of similar interest or go to trade shows. The idea is that you won’t need total saturation in the consumer market to find your customers, but rather there is already an easy way to find them. Pet owners regularly shop at pet stores and so they are easy to find because they are always looking for new products and in effect they find you. The third element for great customers is spending patterns. You don’t need customers that are free spenders, but you do want them to spend freely on products like yours. Most people don’t spend freely in every area of their life, but everyone has at least one area where they indulge, even if only a little. For instance, many people who buy organic food aren’t big spenders in other areas of life, but they are willing to pay large amounts for natural food. Similarly, some people will spend freely on clothing and furniture, but always buy inexpensive food. You want your customer group to spend freely on your product. Often, the purchase will be an impulse buy or an emotional buy. You can make nearly any product into an emotional buy for some consumer group just by appealing to something that is important to them like losing weight or being thrifty. Pet owners, especially “Uber Owners”, have strong emotional attachments to their pets and are willing to spend freely. The fourth element for great customers is ongoing sales support. Having a low amount of ongoing sales support will save you a huge amount of money. If your product absolutely needs to have ongoing sales support, you will need to make sure your profit is high enough to cover it. Pet equipment like the pet fountain is ideal because it can be sold in a store with support offered by the store, if any is required at all, and provided the manufacturer produces a quality product, very little after sales support is required. Just having one of the four elements be off kilter will prevent you from having great customers. Be sure to read the next articles about Easy Sales and Long Life. Three Keys to invention success revolve around what I call the Gel Factors, Great Customers, Easy Sales, and Long Life. If your product fits those three categories you will have a great shot at a successful invention. As anyone who has studied inventions knows, inventor success isn’t always a case of having the best product or the best strategy. Often the difference between a successful inventor and an unsuccessful one is that one inventor chose a market that has outstanding characteristics, or what Don likes to call them, outstanding GEL Factors, (Great Customers, Easy Sales and Long Life) and the other one didn’t. If you idea doesn’t approach a market with excellent GEL factors you will have trouble introducing your idea and should consider a different idea or market. To learn more about GEL factors look into Don’s book Business Models Made Easy, (Entrepreneur Press, 2006). · The product needs minimal promotional activity. Easy sales is probably the most important GEL Factor for inventors because they typically don’t have the experience or resources to mount a large scale marketing program. The Java Jacket is a patented honeycombed insulating sleeve that slides over a paper cup to provide extra insulation to make holding hot coffee or tea easier. They are sold in coffeehouses and specialty and convenience stores nationwide. Jay Sorenson invented the first Java Jacket, which are now available everywhere, and in a little more than five years he had sales over $15 million. If Sorenson were selling to consumers, he would have a tough time as it would be hard to get the product into the market, as the Java Jacket isn’t much of a priority to consumers. But his customers were the owners of stores that sold coffee. His first customer was the Coffee House, a small chain of coffee shops. Sorenson was selling the product as a nice feature for customers and sales were a little slow starting up, but then a convenience store owner told Sorenson he would take the product because it was much cheaper than a second cup. Because coffee or tea was too hot to hold in one paper cup, people would use a second paper cup to keep the heat off their hands. Paper cups aren’t cheap and when the convenience store owner realized how much money he would save with the Java Jacket, he jumped on the opportunity. From that point on, Sorenson used this as his selling point and sales became very easy. Sorenson’s Java Jacket met all the requirements for Easy Sales: the product was important to customers (store owners) because it cut their costs while providing true value to customers, which is a customer priority; customers were easy to acquire because they ere easy to identify — coffee houses and convenience stores — and those customers would keep buying the product every month; finally little promotion was needed as the stores could be approached by a sales representative and there was no need to promote the product to consumers — they recognized the value of the product the minute they saw it in a store. What makes an easy sale depends on how good your customers are, which we discussed in the first article, but you could have great customers and still not have Easy Sales. How important your product is to potential customers is the first point of Easy Sales. Many people might rate your product as much better than your competitors, but unless your product is a priority to consumers, your sales will be low. For instance, you might have the best blender, maybe even a hundred times better than your competitors, but most people don’t place a high priority of owning or having the best blender. Conversely, many people put a high priority on owning clothes with certain brand names, which aren’t necessarily of a higher quality than other clothing brands. These people put a high priority on the image created with that brand of clothing, so they purchase it. Most people only have a few priorities and spend their money accordingly. If you want easy sales you need to tap into these priorities. If people don’t at first see that your product is important you can often fabricate ways to tap into people’s priorities. For instance, Subway fabricated a way to tap into people’s desire to lose weight by promoting a story about Jared, a man who lost a lot of weight eating Subway sandwiches. So all of a sudden eating Subway’s sandwiches became about losing weight, a high priority for many in theU.S. The second point related to priority to customers in Easy Sales is your competitive advantage. How many choices do customers have when the walk into a store? Many. What will make people choose your product over others? So you product needs a significant advantage. Some possible categories where you could have a competitive advantage are: support of customers’ self-image, performance, completeness of solution, best perceived value, first with newest technology, best visual appeal, highest-quality product, best-known brand name, or lowest pricing. Having a competitive advantage can be difficult if there are already established and successful companies selling products that will compete with yours. You will need to prove you are much better for a consumer switch from a tried and true product to something new. There are a few ways to increase your competitive advantage. First, create a better product. You will have an advantage if your product is better in any of the ways listed above. You can also team up with another company to create a package of items that creates a complete solution. Another way of creating a competitive advantage is by creating a brand name. Associate your name with expertise and experience for technical or practical products by conducting classes, offering seminars, or releasing research or other interesting facts to the press. Or if you want to associate your brand name with being hip, confident, successful or any other customer group’s desired image, sponsor events that portray the image you want. You can team up with other companies with the same image and that should help your brand name portray the image you desire. The third point dealing with your product’s value to potential customers is the price/value relationship. People have a strong sense of what something is worth. This will not be the same for everyone. For instance, some people think buying a new car is a waste of money due to the immediate depreciation while many others think that buying a new car is well worth the money. Your desired customer group must think that your product is well worth the money for you to be successful. You must determine what your customer group will pay. To do this you cannot ask them what they think your product is worth. You must ask them to rank your product in value to other similar products. Your product should sell for around the price of products it is rank immediately above and below of. If you price is too high for what customers value your product as, you will need to do some adjusting. You either need to make the product seem more valuable by adding high-value features or a high quality image without impacting the cost of manufacturing too much or you need to make the product less expensively. You may need to drop unnecessary features or just change the manufacturing process. Either method should bring your product closer to the right price/value relationship. The second sets of point for Easy Sales have to do with the cost of acquiring and retaining customers. The first important consideration is how many entry points you have available for customers. Entry points are different ways for customers to start buying your products. So either they could buy them online, in a retail store, in catalogs, rent them or even lease them. These are all different entry points. The more entry points your product has, the easier sales will be because customers will have an easier time finding you. The best way to create more and more entry points is to enter your customer’s world. Where do they shop or eat or what do they do in their free time? Find ways to do promotions with other businesses your customers frequent. For instance, if you sell motorcycle gear in your town, find all of the restaurants, pool halls, movie theaters, etc. that motorcyclists are most likely to go to. Then offer a free T-shirt coupon or baseball cap coupon to them as a promotion through that other business. Then they have incentive to come to your store. That is another way that they come to do business with you. Also, host seminars, hold contests and be active in associations. All of these things will bring customers into contact with you, creating more entry points. Another tactic often used by people who have either their own retail or internet store is to carry other people’s products. That way, someone looking for pool chemicals might come to your website and see your patented pool filtration system. The second consideration for the cost of acquiring and retaining customers is the amount of sales support required. Ideally, you want your product to sell itself. Those are the easiest sales, but often this is not the case. If you have a new or unknown product or your product handles a complex situation, and especially if it is a high dollar purchase, people will want to ask many questions and will understandably be hesitant to buy from you. But there are a few ways to remedy this problem. First, you can offer a service rather than a product. Let’s say your invention will easily get rid of yard pests, like moles or gophers for up to two years. Instead of selling your invention, which might require loads of instructions, no matter how simply it works, you could just offer a yard pest removal service. That way, people will feel confident that their yard would be pest free instead of buying a product and trying to figure out how it works. Remember: people want a solution, not a product. You also can offer money-back guarantees for people buying a complicated product. Another option you have is hiring a highly professional sales team. Make sure to get people with a good track record and you will need to offer them a high percentage commission just to attract them to your product. But a good sales team will greatly help if your product requires a lot of sales support. The final consideration for Easy Sales is that little or no promotional activities are needed. This is different from sales support because sales support requires answering customer questions and explain the product over and over again. Promotional activities are geared at just telling the potential customers that your product exists. You will need few promotional activities if your customers are easy to locate, either geographically or by interests. You will need many more promotional activities if you have a completely new product or are going up against established competition. These promotional activities can eat up a lot of time and money, so if you need to do them, make sure to do the most cost effective promotion possible. Your first step is to create a great visual image for your product. This needs to go beyond just the product. It needs to be a logo or a picture of the effect of your product. We live in a visual age and you need to find an impacting visual image that shows either your product in use of the results of your product. Look at advertising in magazines for ideas. The advertisements you remember will have a great visual image. You also need to create a memorable slogan or saying to go along with your advertising. Nearly every successful company has some type of slogan. These are easy to remember phrases. Without memorable advertising, your promotional activities will not be as effective. Once you have memorable advertising, look for ways to effectively reach your target customers. Go into their world and do cross promotions. So if your target customers are turkey hunters, go to retail or internet stores that compliment your product, not compete with it, and offer coupons to them and ask them for coupons for their store to give out at your store or website. So if someone comes to your store and buys your product, they can get a coupon for the other store and vise versa. That is a cost effective way of reaching your target customers. Three Keys to Invention Success are Great Customer, Easy Sales and Long Life. Those are actually the keys to every small businesses success. This is the third article in the series on the GEL factors for inventor success, Long Life. 50% of small businesses fail in the first year and 95% fail within five years, according to the U.S. Small Business Administration. Does your business have staying power? In this article we will talk about what contributes to staying power and how to incorporate that into your own business. If you know what to look for, it is not too hard to spot whether or not your business has a chance of staying in the game. Many businesses to go under because of unexpected expenses, like lawsuits, an aggressive new competitor, new government regulations or any number of things. These can and will bankrupt a business that is barely running a profit, or isn’t running a profit at all. The businesses with lasting power are making enough to cover these unexpected expenses while still turning a profit. Many businesses go under just because they aren’t set up right. Any number of things can cause their demise and sometimes another company can come out just a few years later and be a huge success only because of minor changes in the business plan. One great example of this is Webvan, based in San Francisco, and SimonDelivers, based in Minneapolis-St. Paul of Minnesota. They were both founded in 1999, but Webvan was bankrupt by 2001 while SimonDelivers continues to succeed. Both companies are online grocery stores that took orders online and delivered the groceries to homes. What made SimonDelivers succeed while Webvan failed? That is what we will discuss in this article. The third factor, profit margins, is the most important as high profit margins can make up for a lot of problems in a business model, but if the cost of keeping up with market trends or protecting market share is too high, no matter how high your profit margins are, you can easily loose money. Businesses should recoup their investment within the first few years of operation. This is because investors will expect this and they will not invest any more you if can’t recoup the initial investment. Also, you need to quickly recoup the investment so you can start investing back into the company. Within a few years, if all is going well, you will probably need new equipment or a bigger facility and you need to use your profits for this, but if you are still recouping your initial investment, you will have no extra money for this. You can cut back on initial investments with partnerships and outsourcing, especially outsourcing manufacturing, but also anything that requires you building up infrastructure. This strategy may cost you more in the long run, but if your initial investment is too large, you are better off using partnerships and outsourcing. The costs of staying in business that often hurt small businesses, which are rarely planned for by entrepreneurs, are the cost of keeping your market share – or fighting off competitors – and the cost of keeping up to date – or better yet, on the cutting edge – which includes updating products and the technology you use. These costs vary widely by market, for instance a business that deals with technology has to be constantly updating their equipment and improving their products – a very costly process. Also, if your competitors are large established companies, you will need to spend lots of money to gain and keep a market share. Your business must be prepared for these costs or you will quickly go out of business. There are a few ways to keep the costs of keeping your market share down. The first way to keep your cost down of keeping your market share is to greatly differentiate your product from the competition. This can be done by gearing your product towards a specific group of target customers or a specific use of a product that may have many uses. The more differentiated your product is, the less direct competition you will have and therefore, the less money needed to keep your market share. Your group of target customers may become smaller, but as long as that group remains large enough to support a business, you will probably make more money (by not needing to spend so much money on marketing) than selling more products (and using that money to fight off competitors). The second way to keep your costs down in related to the first: competing only in market segments where your product has the most advantages. Instead of changing your product, just target market segments that most value your product or service and where you will have easy sales. This will save you significant sales dollars because the easier the sales are, the less money you will need convincing customers to buy your product. Many entrepreneurs only think about the number of sales they will make, but not about how much it will cost to make those sales. Drop the sales that are expensive to make, and focus on the easy ones. The third way of keeping costs down is to target a smaller market. For instance, target your local city, state or whatever is within driving range from your house. This again allows your marketing dollars go further and many media outlets like to reprint local stories, which translates into free marketing for your company. You can also do promotional events that are easy to do yourself locally, but are a nightmare to do at a national level. The final way to lower your costs is by using truly innovative marketing. This is the least reliable method because it is so hard to determine what marketing will be memorable (and favorable) and what will not. If you do create truly innovative marketing, you will need to spend less money on marketing because potential customers will remember you more easily. Your margin is the percentage of your selling price that is profit. High profit margins can make up for all sorts of deficiencies in your distribution or capability to sell your product. With high margins you can afford to distribute through an additional broker or use a highly professional sales staff working on commission. Most low margin products just don’t have the capability to absorb unexpected costs that every business inevitably faces. The truth is that you need high margins to give your company a cushion to adjust to market changes, fight back competition and otherwise try new tactics or introduce new products. Even low priced products often have high margins. For instance Wal-Mart has high margins for a mass merchandiser because instead of just charging as little as possible, they save money in other areas, like production and distribution. Their low prices with their high margins have made them the dominant mass merchandiser. Wal-Mart is often involved at least one lawsuit, proving that their margin is high enough to cover unexpected expenses. Luckily there are ways to adjust and create higher margins for your product or company. First, you can add value. Provide a better service, a more complete solution, create an up-scale image and countless other things can provide added value. The trick is you need to create added value, which then increases your retail price, but the cost to add the value needs to be less than the increase in price. That way, you are making more profit per sale. Second, you can find a new target customer group. When you target a new customer you just need to find someone who is willing to pay more for your service and then just target them. You may make fewer sales, but your profit per sale will be much higher, giving longer life to your company. Third, you can cut costs. These costs can come from production, distribution, overhead or all sorts of other areas. This is how Wal-Mart makes its money. Up-selling or cross-selling refers to selling different products to the same customer and usually only applies to either stores or service providers. Many industries estimate that the cost to acquire a new customer is four to five times what it costs to keep a repeat customer. So by selling to the same customers, you will save yourself a lot of money, which allows you to make more money per sale and stay in business longer. This can be a problem with many businesses. For instance, how often do you go appliance shopping? Not very often, but this is exactly why stores like Best Buy have been successful. Stores like Best Buy have mastered the art of cross-selling. Let’s say you like music or own a computer, you will need to go shopping to purchase all sorts of things like CDs or printer ink. Then while you are buying computer paper you see that there is a sale on dishwashers and you think, I need a new dishwasher, and you start shopping. And just the opposite is true too. If you are looking for a new dishwasher you might go into Best Buy and buy blank CDs for recording music onto. The idea is to establish a customer base that will keep on coming back to you and buy different products. So you might say: how can a one-product company create cross-selling? This is usually done by either selling private-label products or just by carrying other products. This can help you in two ways. First, you will make some money of the other products you are selling and second, you will find customers that are not looking for your product, but for one of the other products you carry and then they might buy your product. For instance, if you sell a mandolin related product on a website and you also sell mandolin strings, you might get customers coming for mandolin strings but then also see and buy your product. Another option is to add a consumable component to your product. If your customers need to make periodic purchases to keep your product working, then you can always introduce them to other products or improvements in your original product whenever they come to replace the consumable parts. Ongoing product costs can either be in follow up sales support, like helping a company implement a new technology, or the cost of keeping a customer informed about your product or service, like when your contact within a company keeps on changing and you need to educate the new person on your product. Ongoing product costs will drive down your profits and make it harder for you to stay in business. There are a few ways to drive down these costs. First, you can prepare answers to common questions in advance and either post them on a website or give them to customers when they purchase your product. Second, you can plan upgrades when your product integrates with other products that change. Finally, you can plan training meetings for either whole corporations or multiple organizations to train many people at once. So let’s now discuss why Webvan failed while SimonDelivers continues to succeed. We will use our five factors to show what SimonDelivers did right and what Webvan did wrong. Factor One: Investment needed to start-up. Webvan was quickly launched in many major cities which required a huge investment. Since the business didn’t start making money right away (or ever) there was no chance to pay back the investment. The company had to close as quickly as it opened because of that huge investment. SimonDelivers, on the other hand, started small, just in a few neighborhoods in the Twin Cities of Minnesota. They honed their business model and grew as they were successful. Now their business covers the Twin Cities and is planning on moving into Wisconsin as well. Factor Two: the cost of staying in business. Webvan had some competitors in some of the cities they operated in. This of course creates a higher cost of staying in business by needing more advertising and to create more sales and deals to attract customers. SimonDelivers, by focusing on a small market with no competitors, has had a much lower cost of staying in business. Also their slow market growth has allowed a lot of word-of-mouth advertising and local media coverage that has also cut back on the costs to stay in business. Factor Three: profit margins. This was Webvan’s biggest mistake. They charged grocery store prices for a better service. That better service was also more expensive to operate and so their profit margins were even lower than grocery stores. Grocery stores do not generally have high margins, so Webvan set itself up for disaster. SimonDelivers on the other hand, charges higher prices because they realize people will pay for the convenience of having groceries delivered. Of course, not all people will pay more, but people who are short on time, who often tend to be wealthy as well, are willing to pay a higher price to save them the time of going grocery shopping. They targeted a smaller group (wealthier people who are short on time) while Webvan targeted everyone.